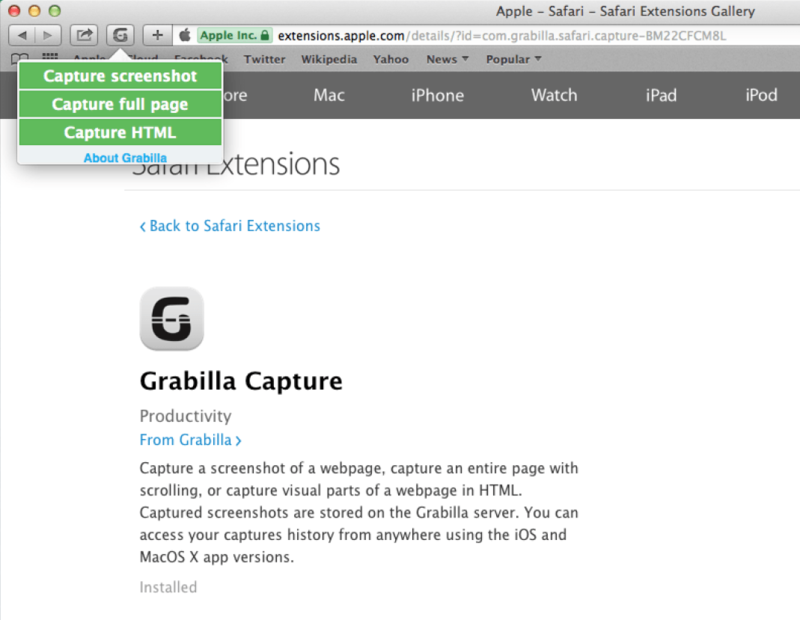 Grabilla has expanded its presence once more and now we are happy to announce Safari extension for screenshot capture – Grabilla screenshot Capture extension for Safari. It can capture screenshot of web page, or scroll entire page and capture everything. And it can even capture HTML parts too!